Do you have a plan for when the pretend space aliens come? Don’t look at us that way. They’re coming and there’s nothing you can do to stop it from happening. You just need to make sure that you have a game plan for when they finally show up on your doorstep. Perhaps it’s time to start training your child in the art of galactic defense, you know, for when the pretend UFOs are here. Your little one will need to eat plenty of veggies, get plenty of exercise, and you need to train your little space cadet in the use of alien weapon technology. 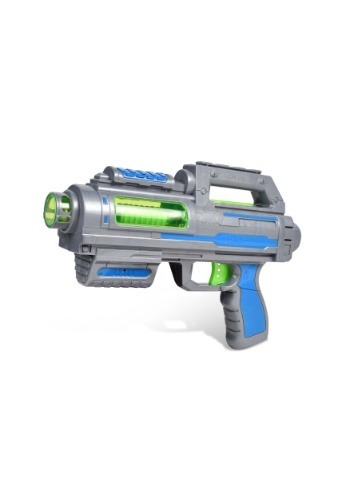 That’s where this Maxx Action Photon Blaster comes into play! 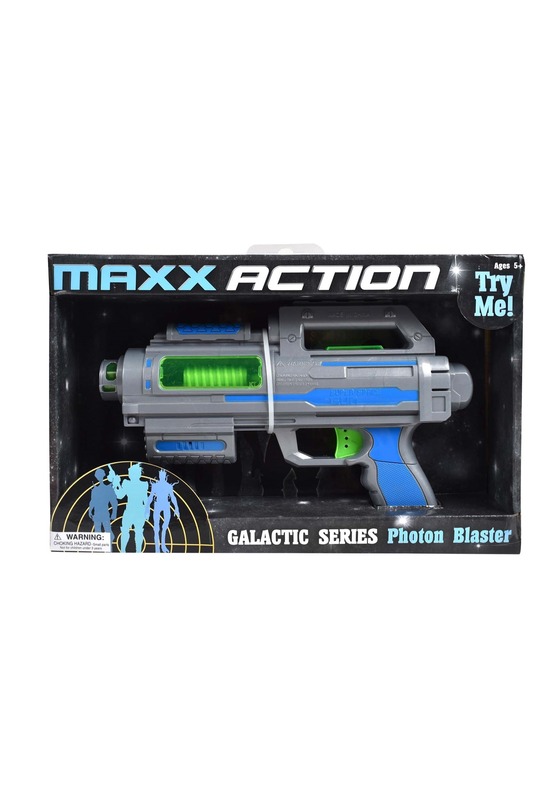 This Maxx Action Galactic Series Photon Blaster toy is the perfect introduction to alien technology! The toy weapon is molded to look like a hi-tech laser pistol from the depths of Andromeda system. It doesn’t fire any lasers, but it does make plenty of noises and sounds when you pull the trigger!